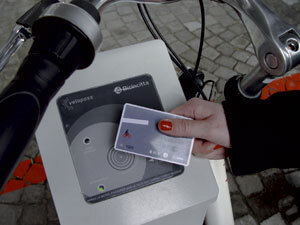 LEGIC and velopass GmbH are partnering to launch a smart card-based bike sharing program across Switzerland. The self-service solution allows users to borrow bikes in a variety of Swiss towns, such as Lausanne, Vevey and Yverdon, and return them to any velopass destination station they choose, using just one smart card. To join the program, users register online, and a few days later receive a contactless LEGIC card by post, which functions as an ID and as an electronic key to the bike stations. Once registered, the user has access to all velopass bikes in all participating towns around the clock. According to LEGIC, the velopass program can be integrated onto existing smart cards equipped LEGIC’s technology, including city cards, electronic travel cards or student cards for local passenger transport. LEGIC has already delivered a similar program in Italy, called Bicincittà, with the help of Communicare, which is currently operating in more than 40 towns and communities. As of now in Switzerland, nearly 400 bikes are now available at a total of 28 stations in 8 cities.